There have been many major legal developments in the United States over the past several weeks. The Supreme Court has issued several landmark opinions in regards to healthcare, marriage, housing, and congressional redistricting. In addition, the U.S. Congress has debated and passed notable pieces of legislation related to trade authority and national security. Moreover, several executive agencies have issued notices, proposed rules, and final regulations regarding topics such as contracting with inverted corporations and overtime pay. The United States Law Week, published by Bloomberg BNA, is an excellent source for keeping up with key legal developments. This weekly publication provides news and analysis, Supreme Court docket summaries, and several other useful tools for staying abreast of recent legal news. One well known feature of this resource is its “Circuit Splits” table, which provides a monthly summary of splits between the federal courts on significant legal issues. Circuit splits is excellent way to forecast which issues may find their way in front of the Supreme Court of the United States. You can access the United States Law Week online through Bloomberg BNA (GSU Campus ID and Password Required) or through Bloomberg Law (Username and Password Required). 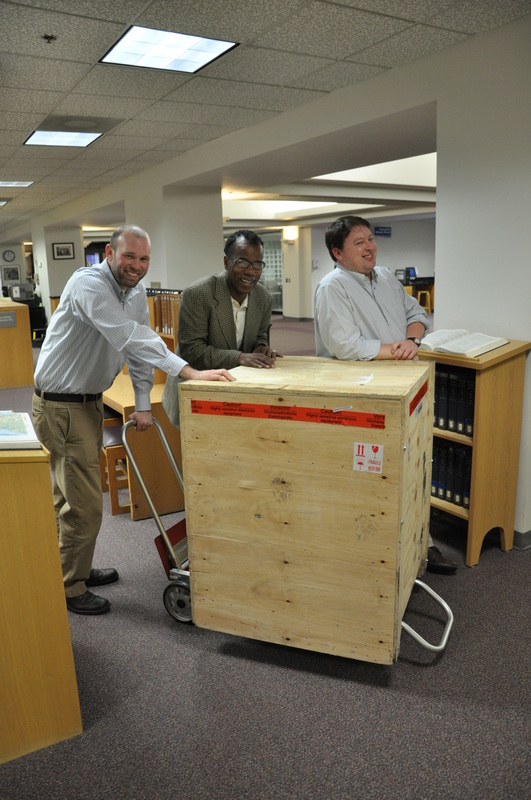 The law library faculty and staff have completed their move over to the new building, but most of the library collection is still in transit, and large portions of the new law library are still under construction. 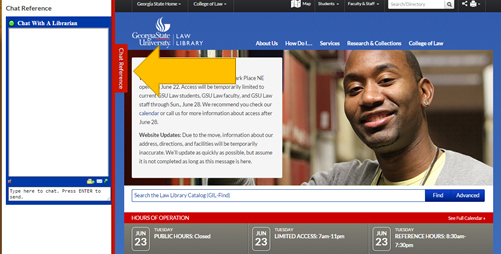 Therefore, for the time being, only students enrolled in summer classes and students needing assistance with summer research assignments will have limited access to the law library. To utilize the study aids and the reserve collection, students must show their Panther ID and sign in at the security desk at building’s entrance. 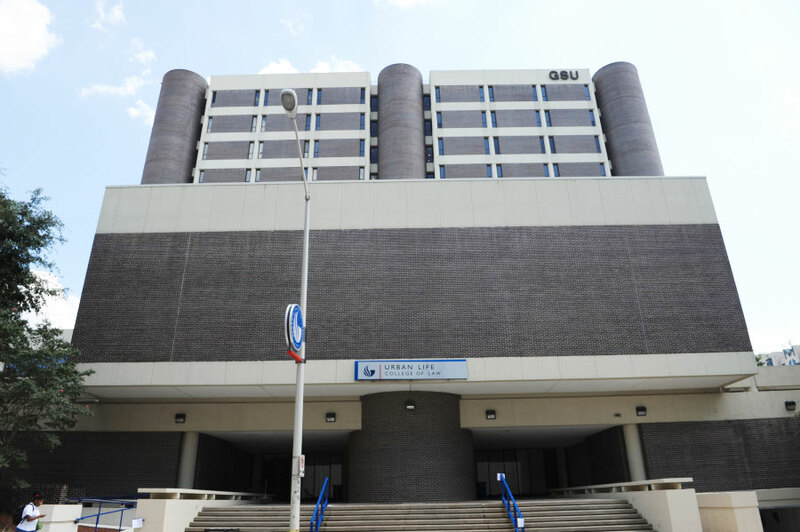 Students must then take the elevator directly to the 5th floor, and proceed to the main service desk for assistance. 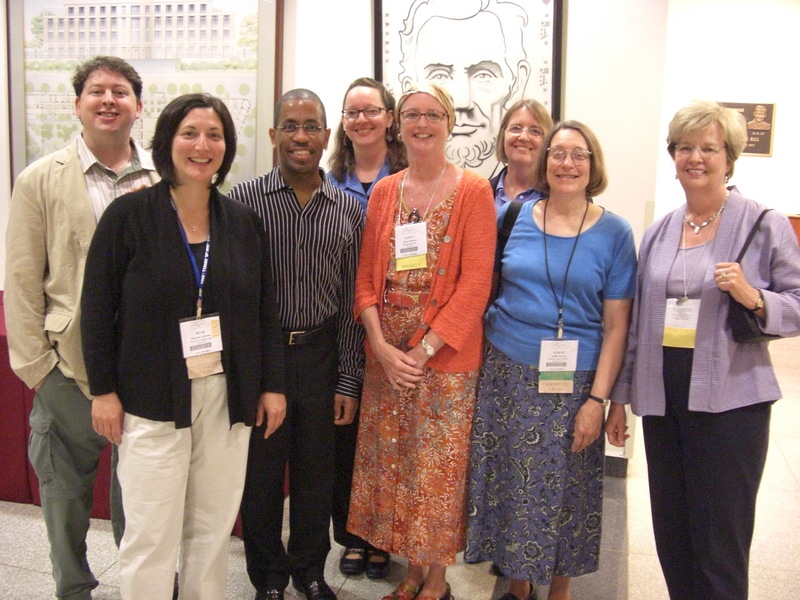 Students needing reference assistance can contact the reference librarians by chat reference, email, phone, or in person. Of the four, chat reference is by far the best method to communicate with us during this transition period. Once you click on the red tab, a chat box will pop out from the side of the screen. While the Circulation and Reference phones are currently inoperable, you can contact the librarians directly using their office phone numbers or their email addresses. 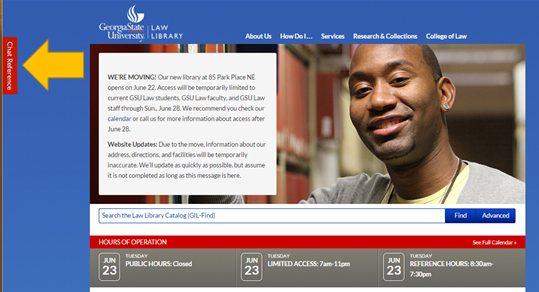 This information is provided on the Law Library’s Directory webpage. We encourage students needing in-person reference assistance to contact us ahead of time by chat or email. 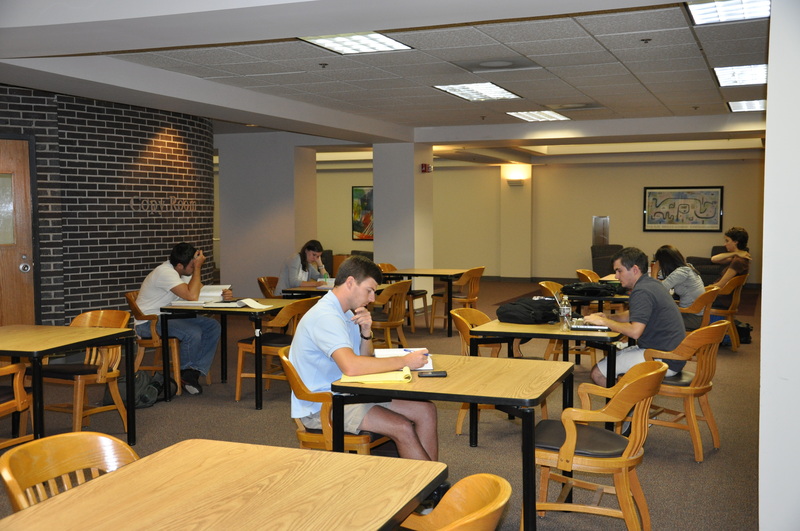 To access the law library for reference assistance, students must show their Panther ID and sign in at the security desk at building’s entrance. 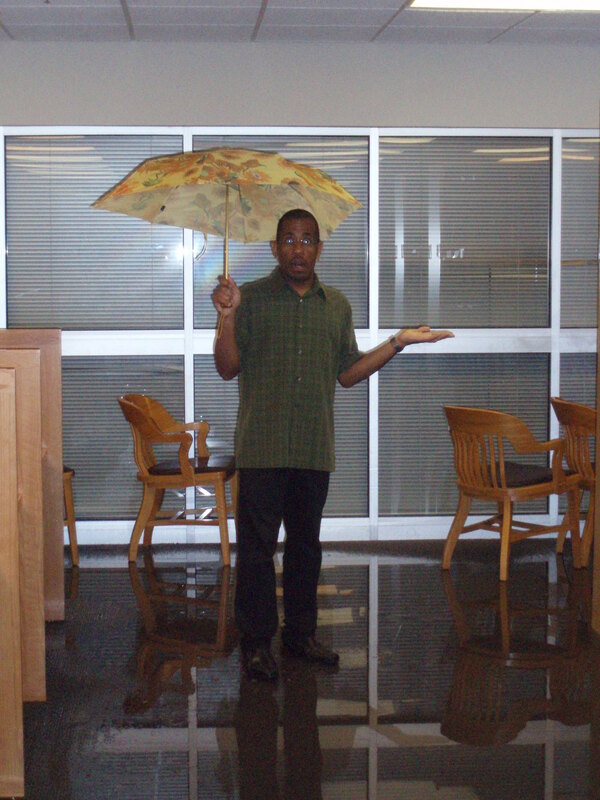 Students must then take the elevator directly to the 5th floor, and proceed to the main service desk for assistance. The printers, KIC scanners, and computers are currently inoperable, but we encourage students to utilize the options available in the University Library. 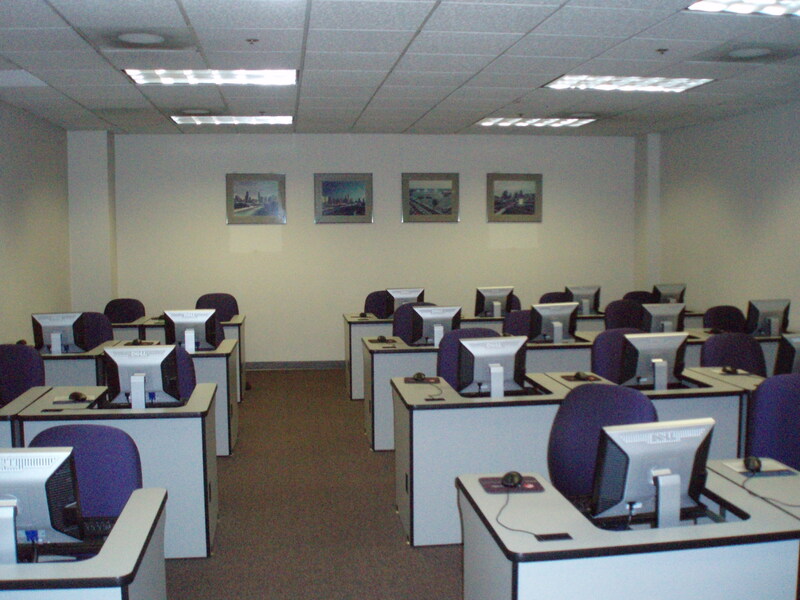 The University Library’s Computing webpage provides information on current computer availability, and also printer locations. To locate the University Library, refer to the Campus Map. 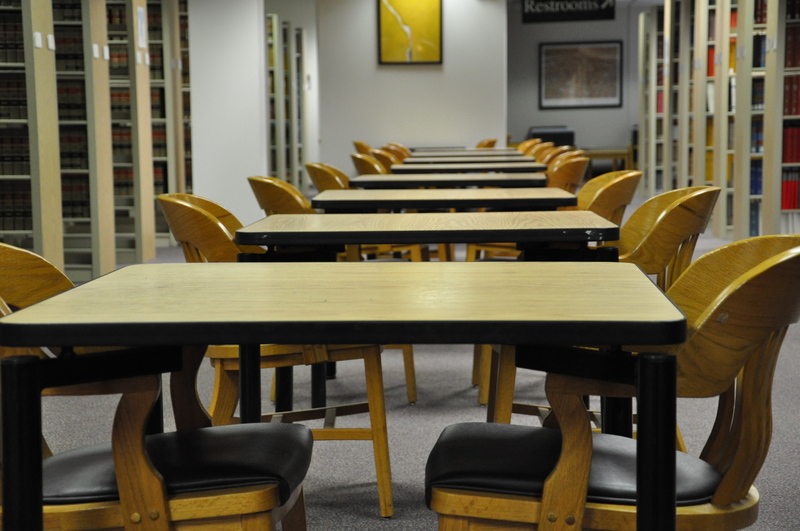 For the most up-to-date information about the law library, follow us on Facebook or Twitter. 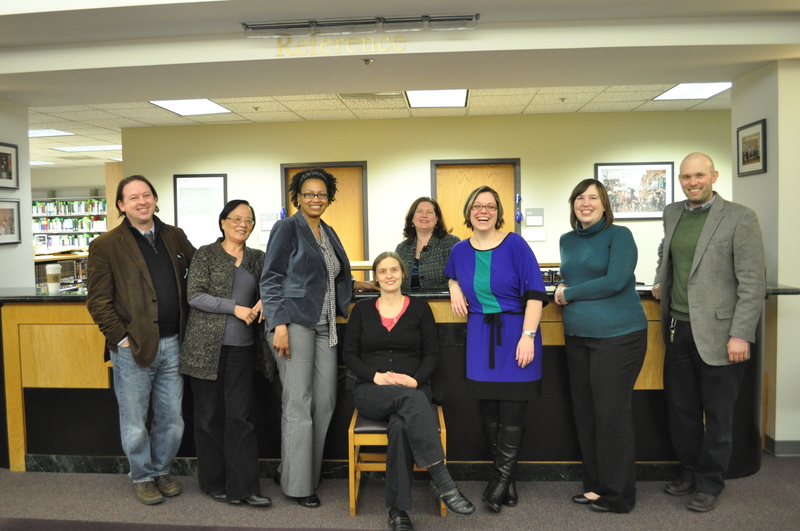 Today marks the last day in the Urban Life Building for the College of Law Library. 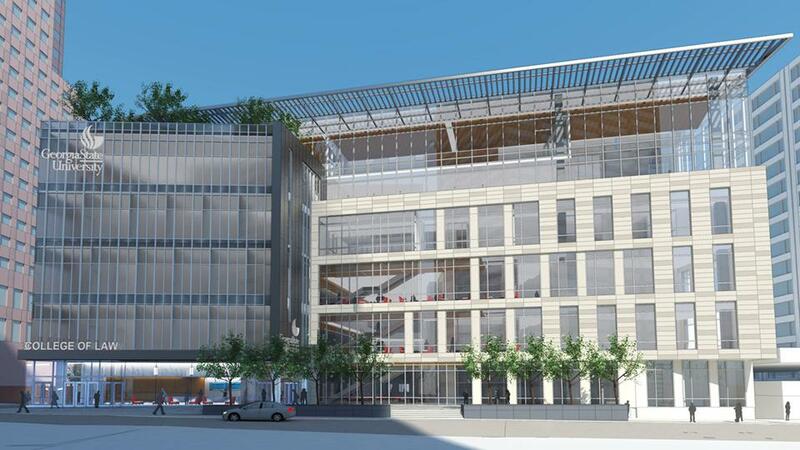 Starting Monday, June 22, 2015, the Law Library will operate out of the top two floors of the new College of Law building. 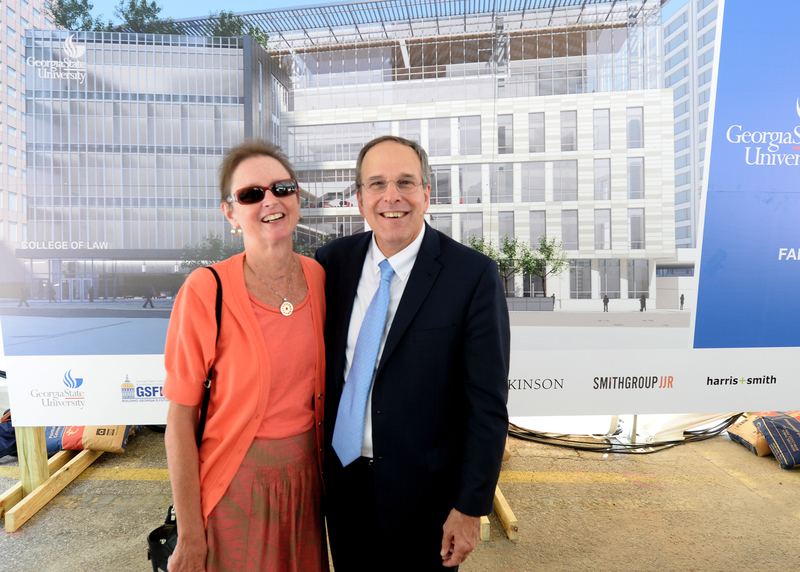 Here are a few images to remind everyone of our time in the Urban Life Building. The Legislative Services Committee and the Office of Legislative Counsel for the Georgia General Assembly recently published a preliminary copy of the Summary of General Statutes Enacted at the 2015 Session of the General Assembly of Georgia (index so far not included). The Summary of General Statutes includes concise summaries of Acts of state-wide application enacted during an assembly session. 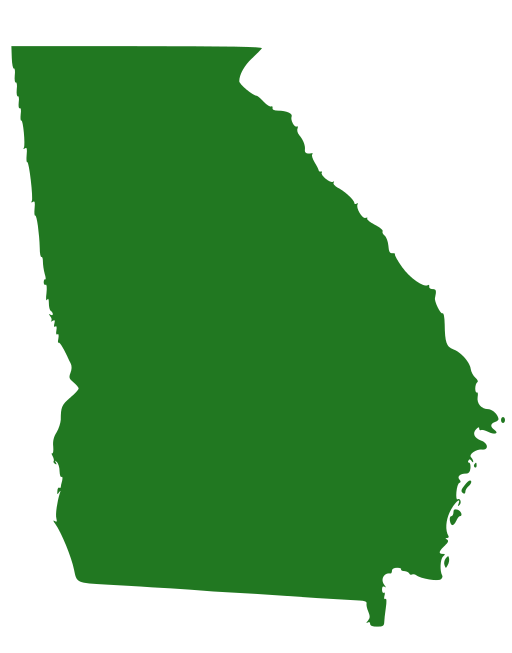 The Acts are organized by the title they amend in the Official Code of Georgia Annotated (O.C.G.A.). Information provided includes the Act and bill numbers, a brief summary, the citation for the code section enacted or amended, and the effective date. The Summary of General Statutes also includes a table of O.C.G.A. sections enacted, amended, and repealed. Determining the effective date of an Act is significant for two reasons. First, O.C.G.A. § 1-3-4 provides that, unless specified in an Act, Acts approved “by the Governor or which becomes law without his approval on or after the first day of January and prior to the first day of July of a calendar year shall become effective on the first day of July.” Therefore, an attorney would want to determine if the Act takes effect prior to July 1st. Second, if the Act does take effect prior to July 1st, an attorney will need to make sure any print or online code they are referring to contains the new language, and if not, they will need to locate a copy of the new language. Quite often there is a significant gap between the enactment of Acts, their effective dates, and the publication of amendments in the O.C.G.A. When this occurs, researchers will need to use the Georgia General Assembly’s Signed by Governor webpage to locate the enacted version of the Acts that take effect prior to their publication in the O.C.G.A. An example of an Act that is currently in effect and not yet published in the O.C.G.A. is “Haleigh’s Hope Act,” which took effect on April 16, 2015. While keeping up with Supreme Court of Georgia decisions can be a daunting task, it doesn’t have to be. Below are several resources researchers can use to stay abreast of recent decisions. In addition to finding the slip opinions of recent decisions on the Supreme Court of Georgia’s website, researchers can also find the “Summaries of Noteworthy Decisions.” This resource is produced by the Supreme Court of Georgia’s Public Information Officer, and includes concise summaries of opinions considered to be of great public interest. The summaries are available on the opinions page, located above the full-text of slip opinions for a given release date. The Daily Report’s Court Opinions webpage is an excellent source for locating recent Supreme Court of Georgia and Georgia Court of Appeals opinions. While researchers need a subscription to the Daily Report to view the full text of the opinions, non-subscribers can view the case name, area of law(s) the opinion addresses, and a one sentence summary of the court’s holding. Produced by attorneys at Strickland Brockington Lewis LLP, the SCOG Blog is an good source for finding information on civil cases heard before the Supreme Court of Georgia. The blog routinely posts information on forthcoming and recent opinions. The 2015 Session of the Georgia General Assembly concluded on April 2, 2015. Following the final adjournment of the General Assembly, known as sine die, the Governor has 40 days to sign any bills or resolutions received after the 34th day of the session, which took place on March 23, 2015. Following the Governor’s actions, the Office of Legislative Council will publish the Summary of General Statutes Enacted at the 2015 Session of the General Assembly of Georgia, which will provide researchers with a summary of all of the statutes of general statewide application signed into law, organized by the title they amend of the Official Code of Georgia Annotated. Researchers will find the General Statutes Summary on the General Assembly’s website. The full text of all the legislation enacted during the 2015 Session of the General Assembly will be published in the 2015 edition of Georgia Laws. Once published, researchers can access the most recent version of Georgia Laws on the Georgia Government Publications website. Pursuant to Article III, Section V, Paragraph XII of the Georgia Constitution, the Governor will provide reasons for vetoing legislation. Generally, the Governor will post veto statements on the Press Releases webpage of the Office of the Governor website. Researchers can also find a veto statements in Volume III of Georgia Laws. 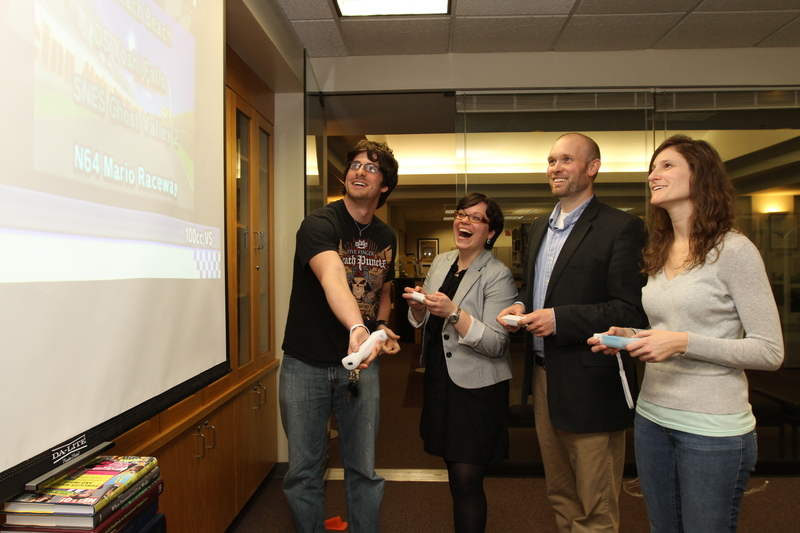 Do you want to work for the Law Library? We hope so, because we’re hiring GRAs for this summer! 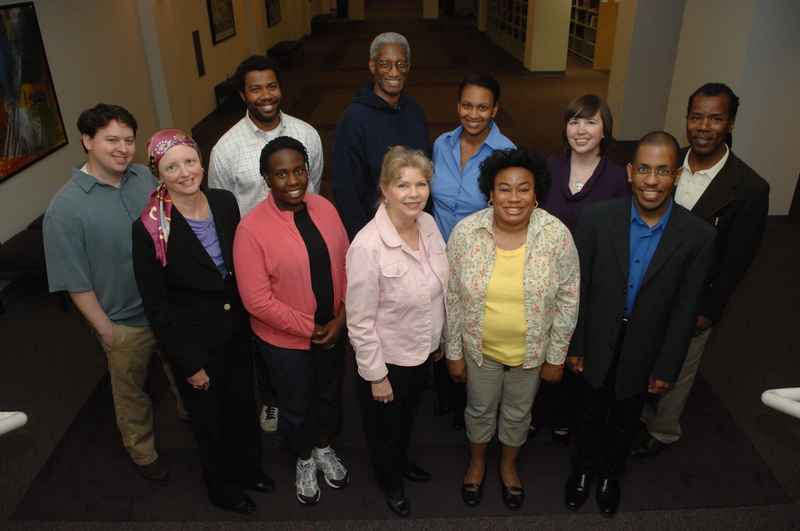 Law Library GRA positions are open to all GSU law students who have completed their first two semesters of classes. Part-time students are eligible. Students applying for Summer positions must be enrolled in at least 3 hours of Summer classes. Students may apply for both type of GRA position, but cannot be hired for both positions at the same time. Applications are due at 5 p.m. on Monday, April 13, 2015. Reference GRA applicants: Email one document which includes a 1) cover letter, 2) current resume, and 3) completed availability form to Austin Martin Williams (austin@gsu.edu). Include your last name in the file name. Research GRA applicants: Email one document which includes a 1) cover letter and 2) current resume to Pam Brannon (pbrannon@gsu.edu). Include your last name in the file name.